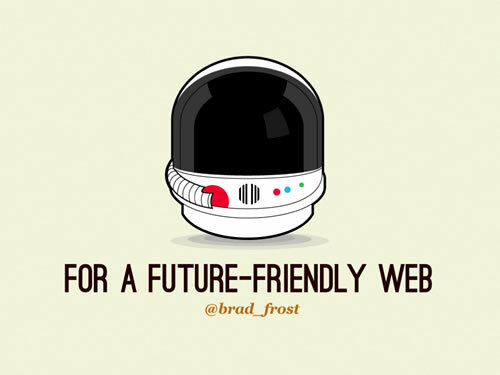 From the Web Design Day in Pittsburgh, PA; Brad Frost detailed the need for us to be building future friendly websites as we move forward. “The web is no longer one-dimensional,” a reminder that we probably all need from time to time. Expanded presentation notes and a video on Brad’s site. Brad, this is a great presentation! You get A+ for content and artistry. I think about this all the time, wondering how relevant my content is on various devices and users. Thanks for all the time and energy you put in to this. AWESOME?? ?It inpsired me a lot.